In this paper, a discrete-time prey-predator model with Allee effect is considered. The dynamical behavior of the model is investigated. The existence and stability conditions of the coexistence fixed point of the model are analyzed. By using bifurcation theory, it is shown that the model undergoes flip bifurcation. Also, numerical simulations are presented to support the obtained theoretical results. Bu makalede, Allee etkili kesik zamanlı bir av-avcı modeli ele alındı. Modelin dinamik davranışları incelendi. Modelin her iki türün bir arada olduğu denge noktasının varlığı ve kararlılık şartları elde edildi. Çatallanma teorisi kullanılarak, modelin flip çatallanmaya gittiği gösterildi. Elde edilen teorik sonuçların doğruluğunu göstermek için nümerik gösterimlere yer verildi.
. He Z. and Lai X., Bifurcation and Chaotic Behavior of a Discrete-Time Predator-Prey System , Nonlinear Analysis:Real World Applications., 12 (2011) 403-417.
.	Salman S. M., Yousef A. M. and Elsadany A. A., Stability, Bifurcation Analysis and Chaos Control of a Discrete Predator-Prey System with Square Root Functional Response, Chaos Solitons & Fractals., 93 (2016) 20-31.
.	Khan A.Q., Neimark-Sacker Bifurcation of a Two-Dimensional Discrete-Time Predator-Prey Model, Springer Plus., 5 (2016) 126.
.	Kartal Ş., Mathematical Modeling and Analysis of Tumor-Immune System Interastion by Using Lotka-Volterra Predator-Prey Like Model with Piecewise Constant Arguments., Periodicals of Engineering and Natural Science.s, 2-1 (2014).
.	Kartal Ş., Dynamics of A Plant-Herbivore Model with Differential-Difference Equations, Cogents Mathematics., 3: 1136198 (2016).
.	Kartal Ş., Flip and Neimark-Sacker Bifurcation in a Differential Equation with Piecewise Constant Arguments Model, Journal of Difference Equations and Applications., 23-4 (2017) 763-778.
.	Kartal Ş. and Gurcan F., Global Behaviour of a Predator-Prey Like Model with Piecewise Constant Arguments, Journal of Biological Dynamics., 9-1 (2015) 159-171.
.	Elabbasy E. M., Elsadany A. A. and Zhang Y., Bifurcation Analysis and Chaos in a Discrete Reduced Lorenz System, Applied Mathematics and Computation., 228 (2014) 184-194.
.	Din Q., Complexity and Choas Control in a Discrete-Time Prey-Predator Model, Commun Nonlinear Sci. Numer. Simulat., 49 (2017) 113-134.
.	Din Q., Stability, Bifurcation Analysis and Chaos Control for a Predator-Prey System, Journal of Vibration and Control., https://doi.org/10.1177/1077546318790871 (2018).
.	Zhang J., Deng T., Chu Y., Qin S., Du W. and Luo H., Stability and Bifurcation Analysis of a Discrete Predator-Prey Model with Holling type III Functional Response, Journal of Nonlinear Science and Applications., 9 (2016) 6228-6243.
.	Liu X. and Xiao D., Complex Dynamics Behaviors of a Discrete-Time Predator-Prey System, Chaos Solitons &Fractals., 32 (2007) 80-94.
.	Rana S. M.,Bifurcation and Complex Dynamics of a Discrete-Time Predator-Prey System, Computational Ecology and Software., 5-2 (2015) 187-200.
.	Rana S. M. and Kulsum U., Bifurcation Analysis and Chaos Control in a Discrete-Time Predator-Prey System of Leslie Type with Simplified Holling Type IV Functional Response, Hindawi., Article ID 9705985 (2017).
.	Rana S. M., Bifurcation and Complex Dynamics of a Discrete-Time Predator-Prey System Involving Group Defense, Computational Ecology and Software., 5-3 (2015) 222-238.
.	Hu Z., Teng Z. and Zhang L., Stability and Bifurcation Analysis of a Discrete Predator-Prey Model with Nonmonotonic Functional Response, Nonlinear Analysis: Real World Applications., 12 (2011) 2356-2377.
.	Zhou S., Liu Y. and Wang G., The Stability of Predator-Prey Systems Subject to the Allee Effects, Theoretical Population Biology., 67 (2005) 23-31.
.	Sen M., Banarjee M. and Morozou A., Bifurcation Analysis of a Ratio-Dependent Prey-Predator Model with the Allee Effect, Ecological Complexity., 11 (2012) 12-27.
.	Cheng L. and Cao H., Bifurcation Analysis of a Discrete-Time Ratio-Dependent Prey-Predator Model with the Allee Effect, Communication Nonlinear Sci. Numer. Simulat., 38 (2016) 288-302.
.	Kangalgil F. and Ak Gumus Ö.,Allee Effect in a New Population Model And Stability Analysis, Gen. Math. Notes., 35-1 (2016) 54-64.
.	Lin Q., Allee Effect Increasing the Final Density of the Species Subject to Allee Effect in a Lotka-Volterra Commensal Symbiosis Model, Advance in Difference Equations., 2018-196 2018.
.	Kuznetsov Y. A., Elements of Applied Bifurcation Theory, Springer-Verlag, New York, NY, USA, 2nd edition, 1998.
.	Wiggins S., Introduction to Applied Nonlinear Dynamical System and Chaos, vol. 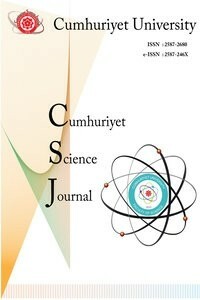 2, Springer-Verlag, New York, NY, USA, 2003.
.	Elaydi S. N., An Introduction to Difference Equations, Springer-Verlag, New York, NY, USA, 2005.
.	Kartal Ş., Multiple Bifurcations in an Early Brain Tumor Model with Piecewise Constant Arguments , International Journal of Biomathematics., 1-4 (2018) 1850055.